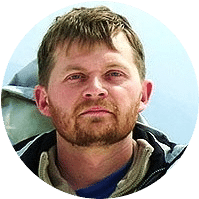 When the conversation about outdoor footwear comes around, it almost always begins, centers on, and ends with the boots, with probably a few mentions on socks. 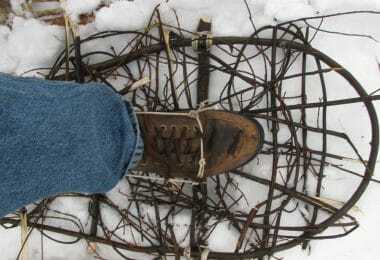 However, the overall experience you can derive from your footwear also has to do with your hiking boot laces. A boot’s laces can factor into a lot of things related to your boots. No, it doesn’t just keep your foot in your boot as you walk. Lifespan, durability, safety, comfort and convenience are a few things that can drastically change depending on a boot’s laces. A lot of the time the default laces on your boots will not give an optimal performance or might break down sooner than the boot does. When that is the case, you will want to know how to choose the right boot laces. 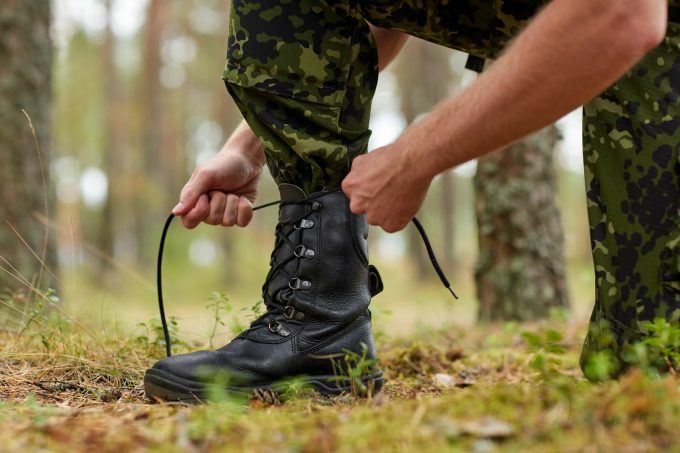 So what we’re going to be talking about in this article are some of the factors you will want to consider in choosing boot laces and a few good options on the market. 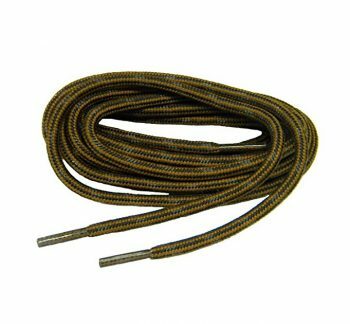 Here are a few of the questions you will want to ask yourself as you go about the process of selecting the best boot laces for your next backpacking trip. This is the first question you might want to ask yourself. For one thing, new laces are an added expense. However, if your current laces perform poorly or are showing signs of excessive wear and tear, you should consider switching. Still, a lot of folks switch out their laces because they don’t perform according to preference. That’s definitely a good enough reason to switch out as well. Laces come in two shapes, flat and round. There are pros and cons to each. Generally, flat laces will hold a knot much longer than rounded ones. Though they are usually much less durable as their structure distributes force less evenly. They are also used less often on boots as the holes are rounded. Generally, the better choicesfor hiking boots are rounded as hiking beats down boots and laces. Also, rounded laces can be loosened easier than flat laces. However, a case can be made for flat laces because of their ability to hold knots better, especially if the boots are used for work that doesn’t beat down on the feet as much. Flat laces are generally more common on sneakers as athletes won’t want their laces to come undone in the middle of a race or a crucial moment in a game. They also look larger and are more pronounced than rounded laces, this makes them a better choice for aesthetics. To the uninitiated, laces can simply seem like pieces of string. However, the material composition of laces will go a long way in shaping the experience that you get out of the laces. These are perhaps the most common lace material out there. They are cheap to make and can generally get the job done of fastening your boot to your foot. They are also cheap, so it is easier to stock up on these as spares. They can hold knots relatively well also. Though they aren’t the most durable out there. Common materials that fall under this category are cotton, hemp, and jute. These tend to be very durable. However, some leather laces can be a bit unwieldy and may be more difficult to keep in a knot. Some types of leather are quite slippery and will unravel easily, so it’s good to check the material prior to purchase. Certain types of leather laces are preferred for work boots as they are able to provide greater strength and durability than cotton boots. These are shoe lace materials that are gaining popularity. They are varied in terms of performance and characteristics. A lot of these though are prone to untying because of their slickness. Technically also under synthetic materials is Kevlar, it offers a high level of durability and is made to take the strain of work boots. This is the same material you will find on bulletproof vests, laces that incorporate Kevlar are definitely worth looking into. What length does it need to be? You definitely don’t want your laces to be too short as you won’t be able to properly wear your boot. Too long and you will have laces that you will either step on regularly or have to be awkwardly tied around. The length of laces will vary depending on a couple of factors. Particularly it’s your boot’s size and the number of holes that it has. Here is a sample table on ideal shoelace length. Aside from this, you will also want to consider the manner you will lace up your boot. Some will require more work than others. Do I prefer particular styles? Laces will greatly change the look and style of a pair of boots. So, if aesthetics are a matter of concern for you, then you will want to pick out laces that are suited to your tastes. 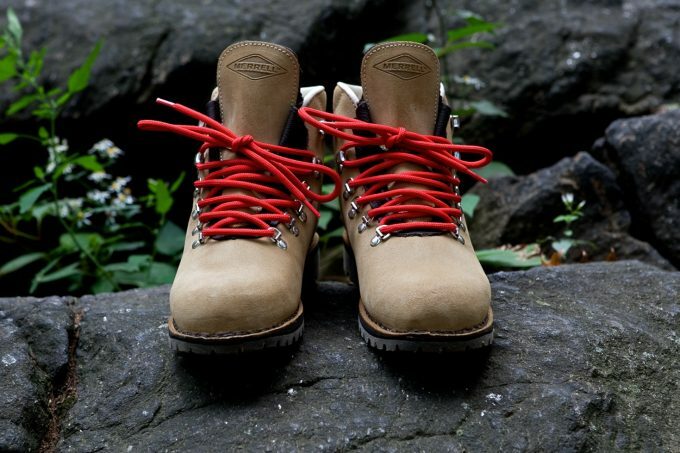 The Miscly round boot laces are a strong choice of laces for hiking or work boots. 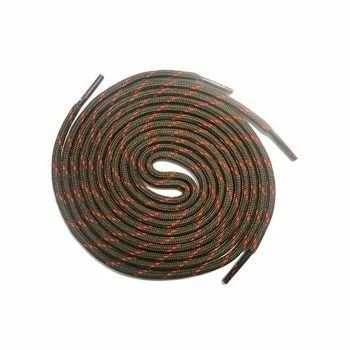 These laces come with a highly durable nylon inner cord that makes it the laces very difficult to sever with regular use. The outer weave is polyester, meaning that it is relatively easy to tie a not with. Though, it might not be ideal for some as it is a bit slick relative to other laces and may be less effective at holding a knot. Despite this, however, the laces still do a great job overall. Sometimes if you’re out hiking for extended periods you will want to sit down, loosen your laces and give your feet some time to relax. If your laces are difficult to undo, then this becomes a bit of a chore rather than an opportunity to relax for a bit. The polyester fabric does not absorb water very well making it ideal for use in damp to wet terrain as the wet laces will not impact the weight on your foot. At 54 in. they will ideally fit into boots with 6-7 eyelets. This is generally enough for most working boots. It’s also a decent bargain since they give you three pairs for purchase. Definitely nice having spares on hand if ever that you need it. The ProTOUGH Black w/ Kevlar reinforced heavy duty boot laces are ideal for boots intended for highly rugged use. At 2.1 oz it is not the lightest among laces out there. But that aside, it is highly durable. 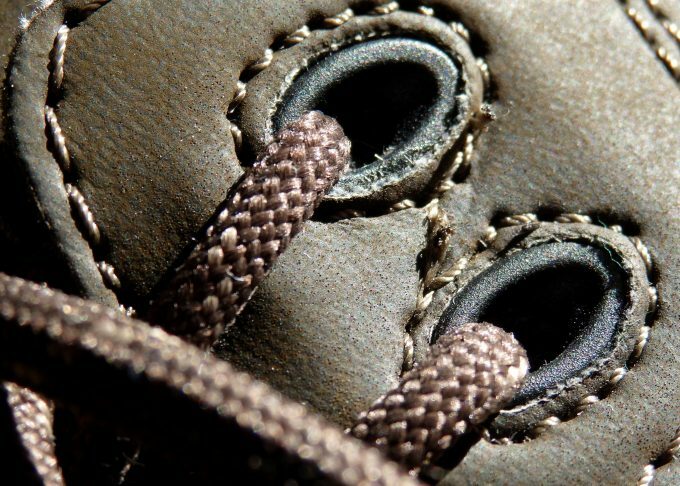 The integration of Kevlar into its construction allows the laces to resist snapping that is usually attributed to laces used with outdoor boots. The rounded nature of the laces also helps grant its durability. The use of polyester fabric as the outer weave allows the laces to overcome criticism usually attributed to Kevlar laces. 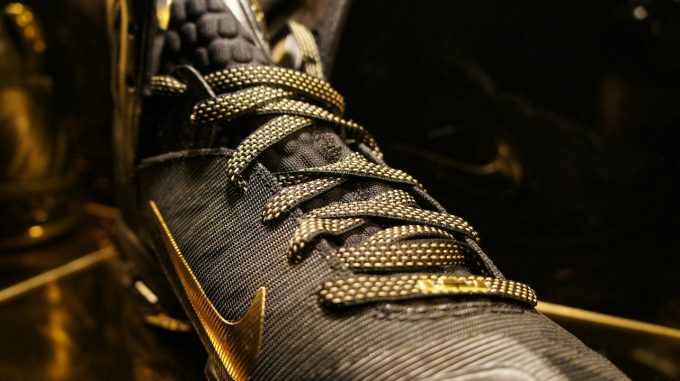 Normally, Kevlar laces are sturdy but they can be stiff. This deters a lot of people from using them because they’re difficult to keep tied. With the manufacturer’s use of polyester, these are far more flexible than the run-of-the-mill Kevlar laces. This makes it a pretty good option if they’re intended to take a beating because of the right mix of durability and flexibility. A note, though, it’s important to check the diameter that your boots can accommodate. These laces are quite robust and might not fit the eyelets of some boots. Each order of these lacesgets you to pairs of laces. Definitely worth it as it provides you a sturdy spare pair of laces in the event of an emergency. Given its durability, you can also use these proTOUGHlaces to lash gear or whatever onto your pack in the event that the need arises. 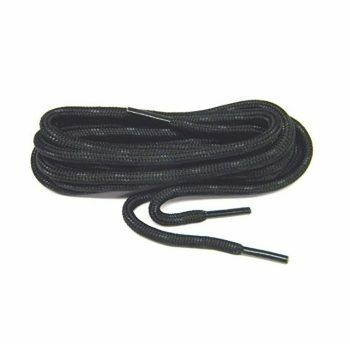 Yfine’s shoe laces are good for a variety of footwear types though they might not be the forerunner if you’re buying them for working or outdoor boots. The polyester yarn that comprises the outer weave make it easy to tie but can be a bit slick, making it less ideal to hold knots over extended periods. The laces are easily used for sneakers and canvas shoes as well given the diameter. The flat structure of the laces in addition to the polyester material put constraints on the lace’s durability. Sure, they can still be used with boots, but using them for hiking might present you with problems especially if you’re going on long hikes. Having them snap while moving along unfriendly terrain isn’t an appealing prospect. The laces come in various colors and shades. That and their flat shape make them ideal if your intent is to make your footwear look good. The color and shape make it easier to create color contrasts with your shoes. Also, the product is also made in China. So if you are partial to American products then you might want to think twice. Overall, the Yfine’sshoe laces aren’t the ideal choice of laces for your mountaineering trip. But if your intent is to improve your boot’s appearance then these are a viable option for you. The Greatlaces Rust with Black Kevlar proTOUGH are an elastic, durable, and highly resilient lacing option for your hiking boots. They are built with a polyester blend that integrates DuPont Kevlar into its weave. This makes it highly resistant to breaking, despite the polyester make. The effort added to make the laces a bit elastic make it less painful to the top of the foot, in the event that the laces are to be thoroughly tightened. Like other proTOUGH laces, these are built to take on the rigors of the outdoors and come out of it without snapping. 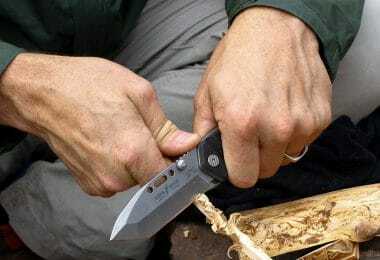 The rounded shape makes it ideal for use while on a variety of outdoor tasks due to its enhanced durability like hiking, mountaineering, hunting, among other things. The Rust and black color make it ideal for hunting as the color is not bright, and won’t draw the attention of game. The laces were engineered with staying tied in mind. Despite this, however, the laces are easy to untie when pulled. 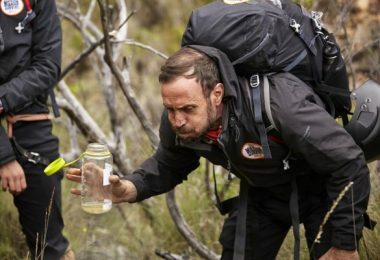 They also come in pairs, so you can easily have a spare on you if something untoward does happen and your laces snap, or if you need a sturdy bit of rope to lash something like gear or a splint when you’re out in the field. The Greatlaces Fire Engine Red proBOOT are great laces to put on for rugged daily tasks or the occasional outdoor excursion. In a manner similar to other offerings by Greatlaces, these laces are able to offer a high level of durability and value. They can withstand the brunt of daily work on boots that take heavy beatings regularly whether it’s for work or trekking. The rounded shape further enhances this durability and makes it a good fit for most hiking boots. The polyester construction of the laces makes for a decent level of water resistance. So you can take them right through that stream or river and not worry about any effect on quality. The laces are guaranteed to never fade or shrink, even when machine washed. Its bright red color can easily provide a stark contrast for most boots. Definitely good laces for those who want their footwear to stand out a bit more. On the flipside, thebright red might be off-putting for those that are inclined towards more sombercolors. 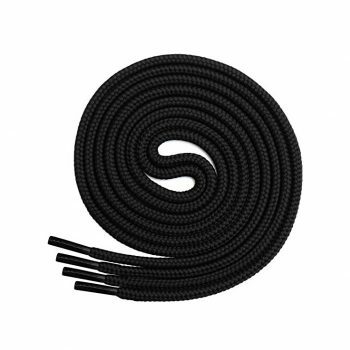 Similar to other laces by Greatlaces, these are a good secondary option if you ever catch yourself in a bind while out on a hike. Since you find them in pairs, they can easily be used to tie something onto your pack, or whatever you need a rope for. Definitely a good idea to have a backup option in case something happens while out in the outdoors. 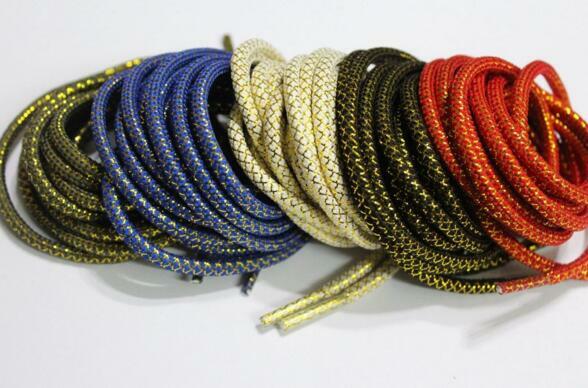 These laces, like other laces by GREATLACES are made in the USA from start to finish. If that matters to you. 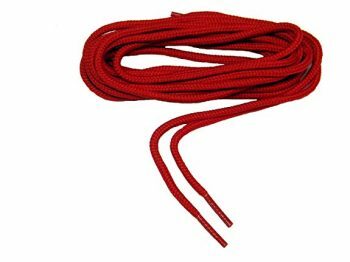 Overall the Greatlaces Fire Engine Red area good pair of laces to use for any pair of boots. Great value for a good product. 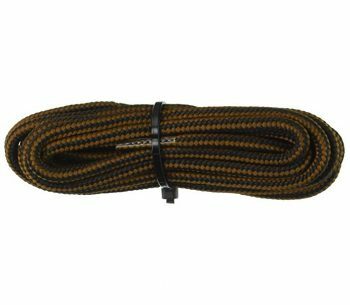 These 54 in proBoot laces are a rugged option for anyone looking for a good two pairs of laces. It is constructed of 100% polyester, meaning that it will not take on water and will not shrink or fade with machine washing and drying. The polyester fabric is braided over a solid inner core giving the laces a strong level of durability. In terms of comfort, it offers a degree of stretch. This means that using these can potentially relieve your upper foot of pressure that is commonly associated with less flexible laces. Though the plastic aglets that cover the tips leave a bit to be desired. 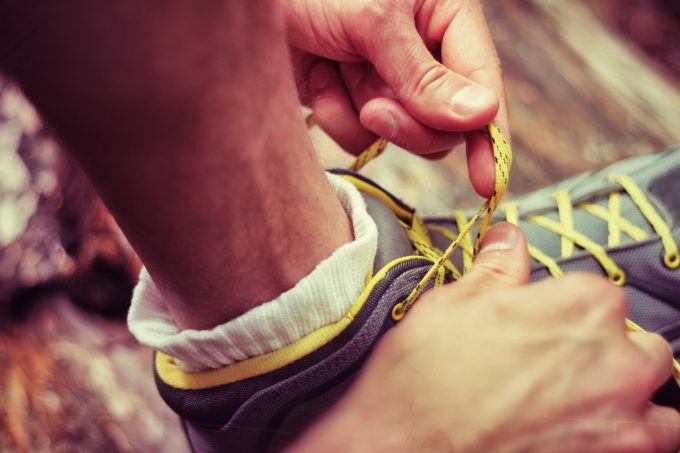 While the laces themselves are quite solid, plastic aglets are prone to breakage, especially when faced with the rigors of heavy outdoor usage. This is especially the case if the boot’s laces aren’t tied down properly. Despite the fact that it isn’t going to be an emergency when the lace tips break, you still don’t want it happening. The color is a good pick for anyone who doesn’t want anything too bright on their boots. This also makes it ideal for hunters who make an added effort to maximize concealment. Anyone looking for flashy color contrasts on their boots probably won’t go for this. Choosing bootlaces are definitely not a task you should take for granted. 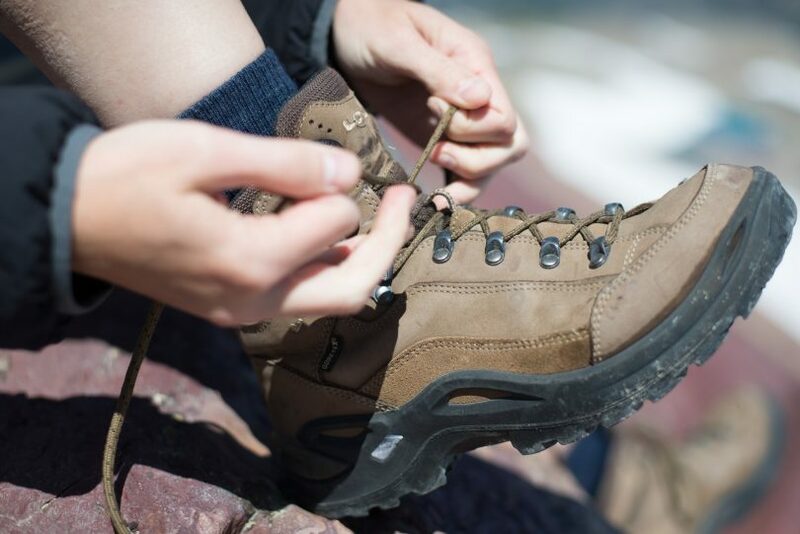 Laces can help make or break your feet’s experience with the pair of boots you choose to wear. As seemingly mundane as they are, laces are a very important consideration the next time you go on a hike or backpacking trip.